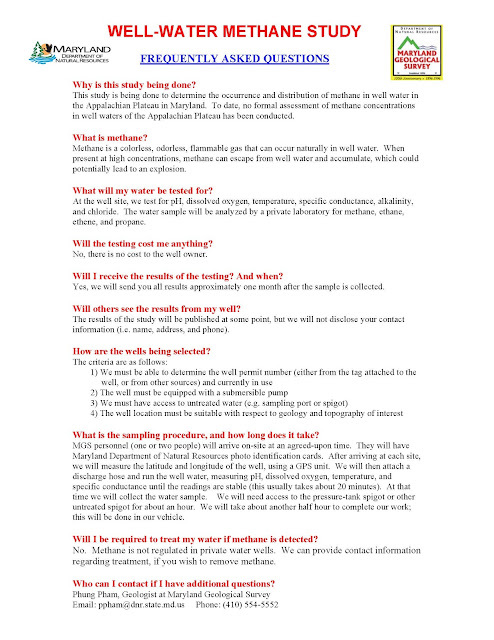 MDNR’s Maryland Geological Survey (MGS) is currently conducting a well water methane study in western MD (please see .pdf for more details). One of the objectives of this study is gather baseline data from well water prior to any Marcellus Shale well drilling/production. 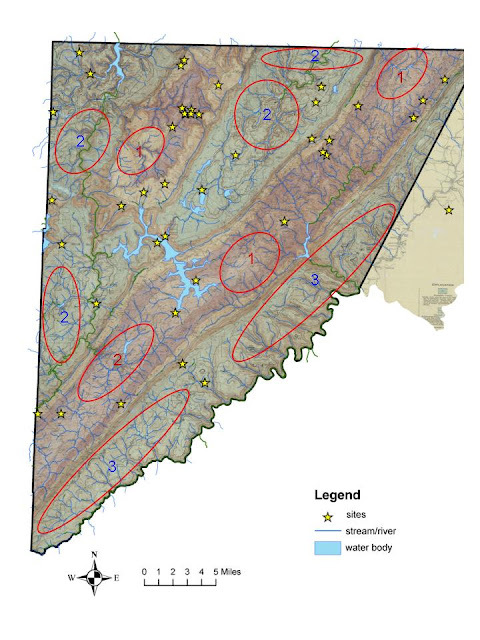 Although MGS has acquired permission to sample numerous wells, there are areas in Garrett County where permission has not been acquired. The map illustrates 10 areas (ovals) where MGS is trying to locate additional wells to sample. The number in each oval represents the number of wells MGS would like to sample. If you live in one of these target areas and are willing to allow MGS to sample your well, please contact Dave Bolton or Phung Pham via email (please email YoughWatershed@gmail.com and request contact info). Please distribute this message to other Garrett County residents that may be willing to participate in this study. Thanks! !